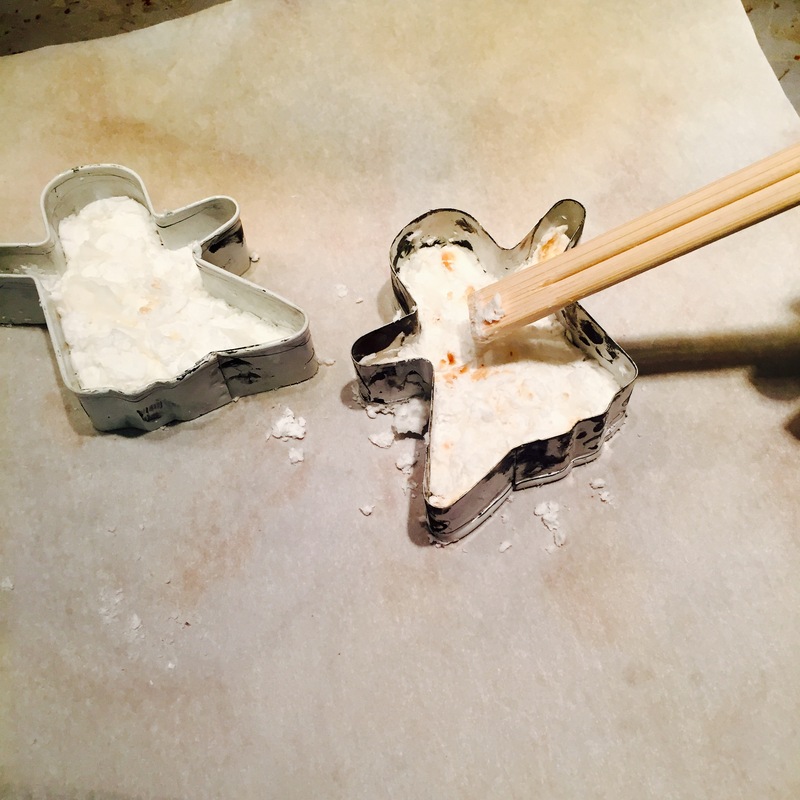 If you are looking for a fun, easy, and cheap experiment…HERE IT IS! 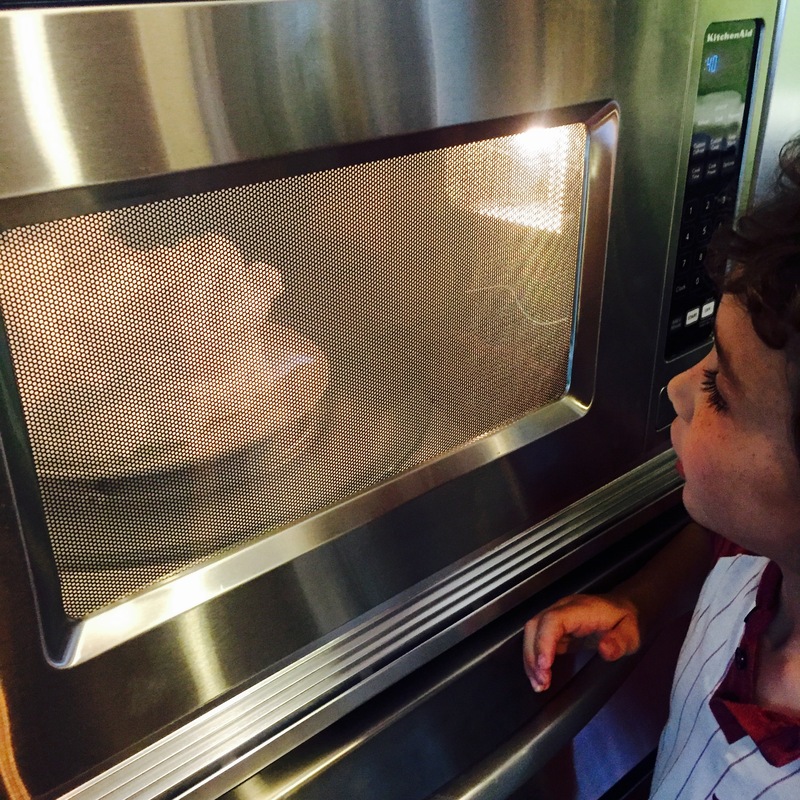 It is so much fun to watch a bar of Ivory soap expand and cloud up in the microwave. My boys were amazed. 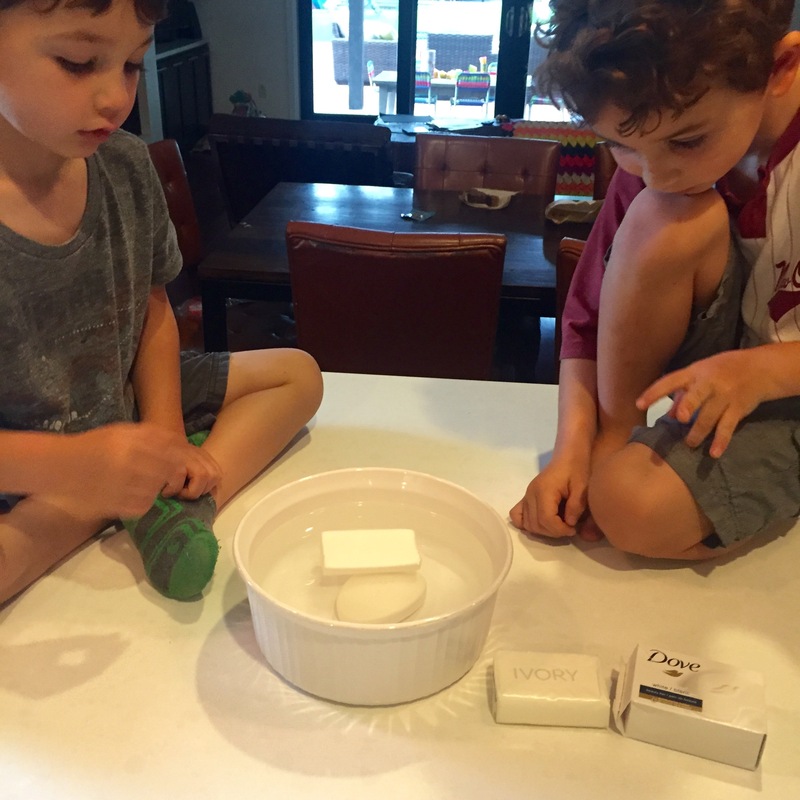 We started out testing if a bar of Dove soap and a bar of Ivory soap would float in water. Baron predicted that they would both sink, since we usually use Dove around this house and had not used Ivory before. 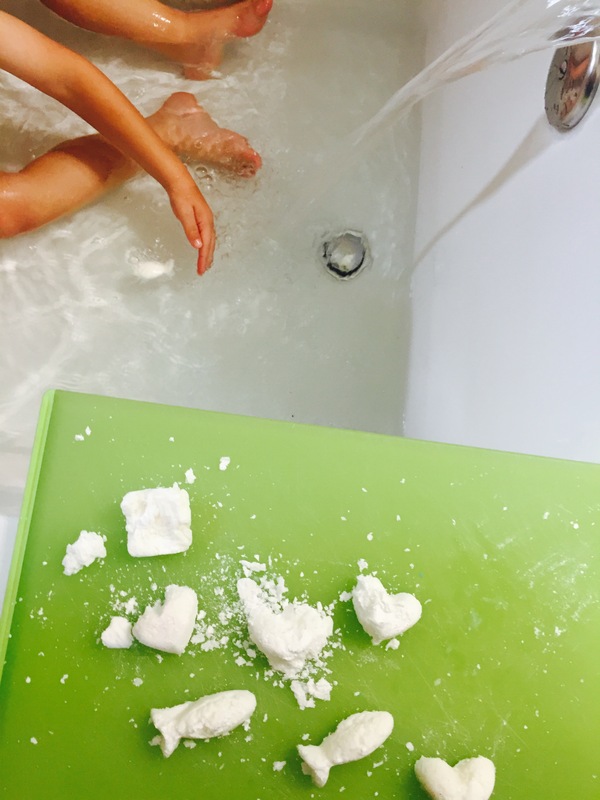 The Ivory soap floated and the Dove bar sank. Why is Ivory soap the only soap that floats? And why does it expand in a microwave? Well I will try to explain, but if you want an expert to tell you look here. Then I wanted to cut the soap and look inside since Baron suggested that the Ivory soap may be hollow and that is why it floats. (Good guess!) 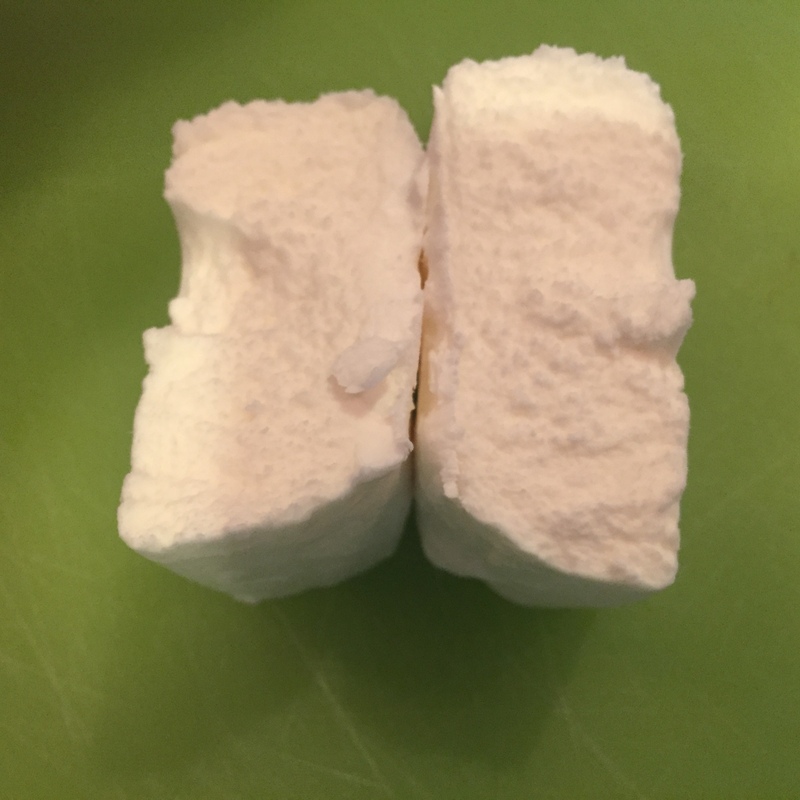 I knew that my husband would not like us to use his fancy knives to cut soap, so I tried to break the Dove bar in half. No way. I tried to break the Ivory bar in half. No problem. Why was this? As you can maybe see the Ivory soap is whipped when it is made and contains small air pockets. This is why it floats! 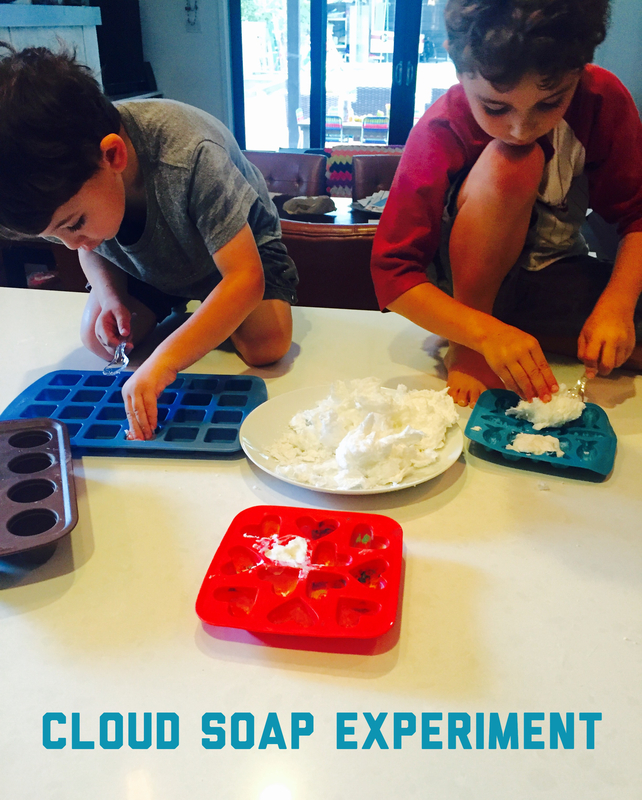 Fun Part!- Put a bar of Ivory soap on a plate. Microwave the soap for 2 minutes. Watch it expand into a big cloud. You will know when it is ready to take out. (When using a microwave an adult should be present.) When the cloud comes out, it will be warm. I would advise waiting a minute before touching it. My boys were not so patient, but no one got burned. Growing Cloud of Ivory Soap! Well, of course I couldn’t stop there. I had to bring that A into STEAM. 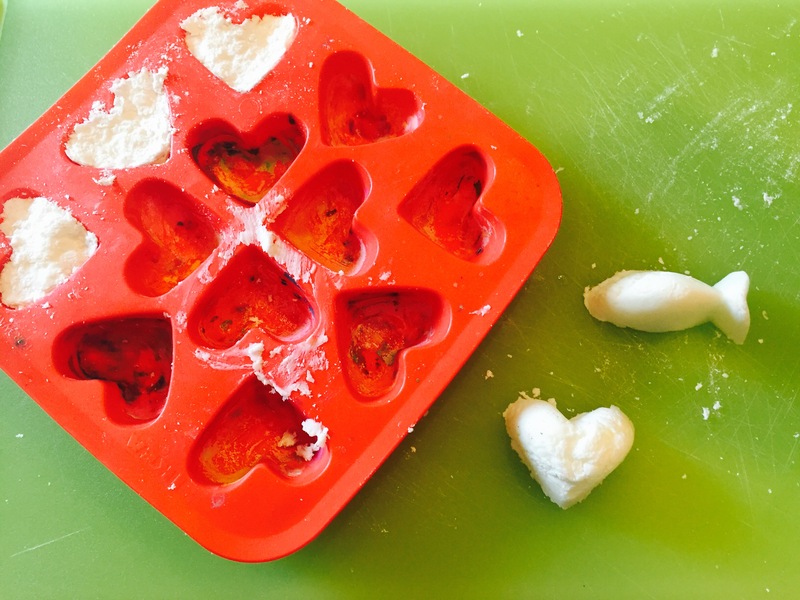 We got out our IKEA Ice Tray Molds and made some small soap forms. -You have to do this when the “cloud” is pretty warm or it will all flake away. One step further.. I had to bring Halloween into it, since I am obsessed. We put parchment paper on a tray. Take out and pat down with something. I used a set of chopsticks. This is when I tricked one of them into taking a bath! Oh yea, this post contains affiliate links, so I can send my kids to college or make 50 cents.